I recently attended the 2013 Joint SELF Biennial International Conference and Educational Research Association of Singapore (ERAS) Conference. I wanted to go more digital in my note-taking so I tool along a Samsung Note 10.1 which includes a stylus. I also had my usual pen and notebook as I wasn’t sure if I would end up going all digital in my notes. The argument for digital notes is an easy one – more legible, searchable and easily transferred from one digital source to another. But what about writing down notes? Apart from being faster, words stuck on page are just stuck on page. During the conference, I used Evernote to store my notes. 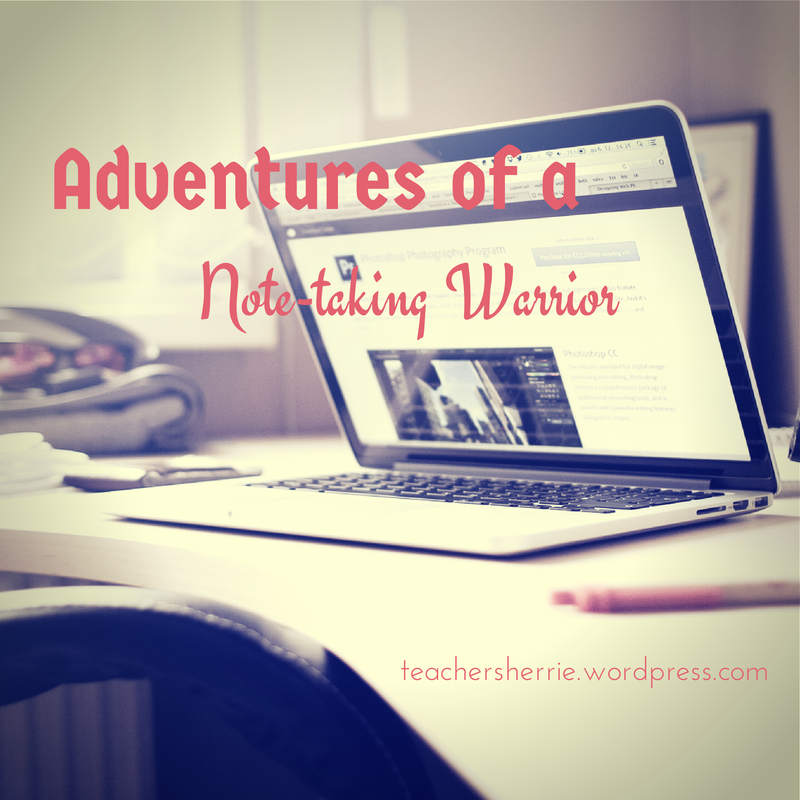 With a premium account, I could work on my notes offline which is important when you may not always have internet access. For me, Evernote has been the best note-taking app/software for desktop, phone and tablet without a doubt. What is not so clear, however, is the best way to make those notes. A non-tactile, flat and smooth surface is really not the best input source. As much as predictive text was helpful, I was still typing more slowly than if I had a regular keyboard. Then there were times when I hit other keys instead of space bar, or when serious mistyping led to incorrect suggestions. In addition, not being able to type fast enough also meant missing some info on the slides when the presenter moved on. Apart from taking notes from the presentation, I also searched for the presenters, found pages related to them and the main theories and ideas they were presenting on, and copied and pasted the links into my notes. If I didn’t have time to do that, I would just bookmark the sites or save the link directly to Evernote. All in all, while I captured the notes digitally, I’m not convinced the on-screen keyboard is worth the discomfort. The stylus was a smooth operator, but a bit too smooth. The S pen was good for some quick scribbling, a few sentences, but certainly not for anything longer or more complex than that. After taking down a few sentences, I switched back to the keyboard. The stylus, however, was good for making annotations on pdfs or images. I used two apps to try out the stylus for that purpose: iAnnotate and Skitch. I didn’t do a whole lot of annotations during the conference but will be experimenting more with PDF annotation with iAnnotate in the near future. So the stylus is good for adding details or comments but not for a long stretch of writing. This was actually the most common way of note-taking at the conference, judging by the number of phones and tablets bobbing up and down throughout the presentations. I resisted at first as I was not keen on having a bunch of photos stuck in my phone. Then I discovered Page Camera in Evernote. I could include my photos of slides in my Evernote notes, whether by importing from my phone gallery or taking the photos directly from Evernote. The tablet was not great for taking pictures of slides, so I used my phone for this. With the slides in my notes, I could also add comments in the notes, or annotate on the picture of the slide using Skitch. The challenge, however, is to multitask between capturing images and taking down notes. Sometimes I found myself taking down notes but missed the chance to capture the slides. Page Camera is a great addition to Evernote and I’m looking forward to more enhancements. I ended up using my trusty pen and notebook most of the time for quicker note-taking. But not content with the non-digital nature of physical notes, I took photos of my the pages in my notebook and added them to Evernote. With the premium version of Evernote, the search function includes picking out text from your images. As long as you write legibly, Evernote can highlight words in those pictures. I haven’t tested this fully, but then again, my handwriting is not the most legible to the human or Evernote eye. With the limitations of an on-screen keyboard on the tablet, I think the Mac Air would solve that problem. Personally, I would go for the 13 inch version so I can read documents and long stretches of text more comfortably. I did consider a bluetooth keyboard for the tablet but the weight probably adds up to that of the Mac Air. Furthermore, I’m a heavy user of Mendely to organise articles (PDF documents), and so far, both iOS and Android apps do not have full functionality of the desktop version. So for serious note-taking, I’ll be going the way of the Air. I’ll also be complementing digital note-taking with snapshots of slides and regular handwritten notes. In fact, I don’t ever think I will give up physical notes. Sometimes, you just want to write and doodle or just not have any clunky devices around. 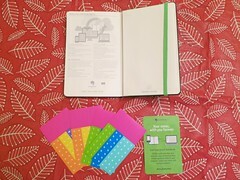 I’m going to get the Evernote Smart Notebook by Moleskin which comes with three months subscription to Evernote Premium (brilliant marketing move!). Evernote Premium is valued at US$7 per month (US$21 for three months), almost offsetting the cost of a 3.5 by 5.5 notebook (US$24.95). Previously, I didn’t think a physical Moleskin notebook would gel with the digital Evernote but it now makes sense to me, wonderful digital sense. Wasn’t considering the Kindle as a tablet of choice until I read this. If it’s good for the eyes, it’s good for me!